Instant Messenger companies are trying to attract its users in different innovative ways like introducing video call facility, providing animated emoticons etc. 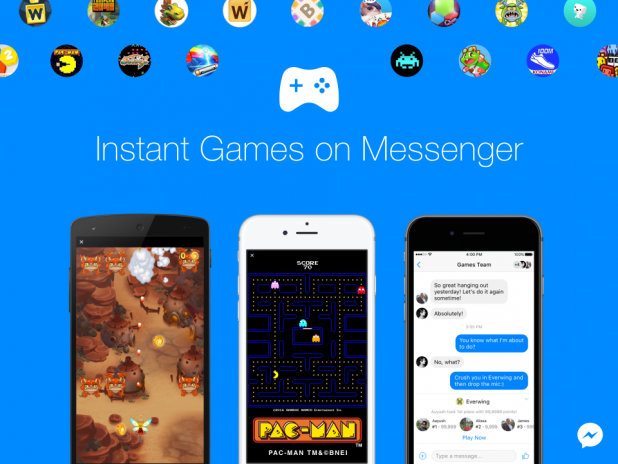 Now Facebook Messenger has introduced "games" on its app which will engage you even more time on its messenger. Facebook announced games such as Pac-Man, Space Invaders, Galaga, EverWing, TRACK & FIELD 100M and Words with Friends: Frenzy and another few are now available on the latest version of its Messenger app. It is very easy option to start with as you just have to open a conversation with a friend, tap a game controller icon and then select what game you want to play. The following video will explain how it works.